MHG Gassero has introduced two ranges of low NOx (Class 5, 33mg/kWh), gas-fired condensing boilers with aluminium heat exchangers. Competitively priced, the Alubox and Alucon ranges both feature highly responsive performance to ensure optimum efficiency at all heat loads. Both Alubox and Alucon ranges can be used with natural gas or LPG and incorporate fully modulating pre-mix burners to provide a 7:1 turndown capability and feature cascade capabilities for combining up to 16 boilers. Floor-standing Alubox boilers are available in outputs from 50kW to 2,200kW, with cascade capabilities for up to 16 units. They deliver a fuel engineering related efficiency of up to 108.6% and are suitable for a wide range of flow rates with low pressure drop. 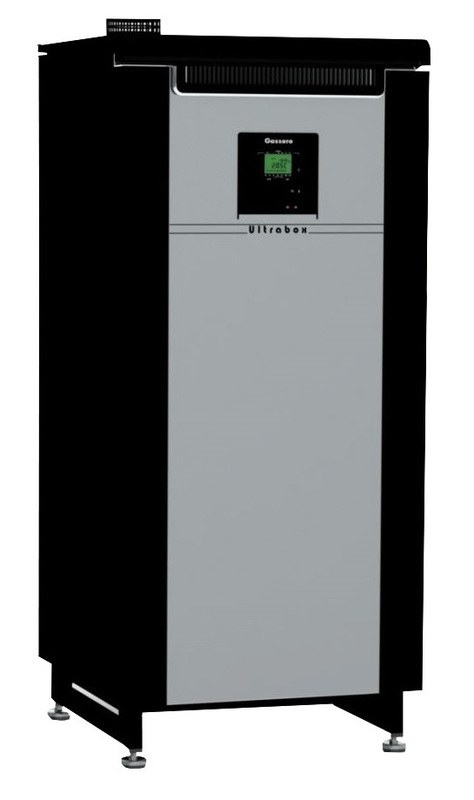 Wall-mounted Alucon boilers are available in capacities from 50kW to 150kW with a fuel engineering related efficiency of up to 110%. They are available with matched mounting frames and cascade hydraulics including low loss headers or matched system separation plate heat exchangers. MHG Gassero Alubox and Alucon boilers are supplied with sophisticated onboard controls such as zone control, time control and automatic frost protection, with an optional BMS interface with remote monitoring. MHG Heating has introduced the Ultrabox range of gas-fired condensing boilers in capacities from 210kW to 1125kW, with cascade capabilities for up to 16 units. MHG Ultrabox gas fired condensing boilers feature a fuel engineering related efficiency of up to 110% and 8:1 turndown capability and are suitable for a wide range of flow rates with low pressure drop. NOx levels are low, at 34mg/kWh. MHG Ultrabox boilers incorporate automatic frost protection and built-in time control. Each boiler is capable of controlling up to four separate heat zones as well as domestic hot water (DHW). 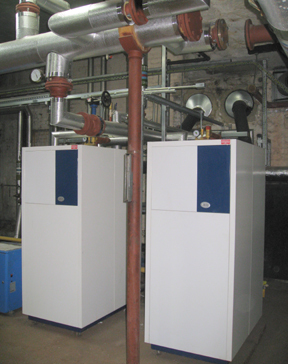 If required, the boilers can be interfaced to a BMS with the option of remote monitoring. Zero side clearance means the installed footprint is up to 30% smaller than competing models, enabling optimum use of plant room space. The smallest model in the range has a footprint of just 0.72m2. The integral safety controls, fully compliant with BS 6644: 2014, include 9 sensors monitoring the boiler’s operation every second and feeding data to 31 safety sub-systems. All models are suitable with natural gas or LPG. 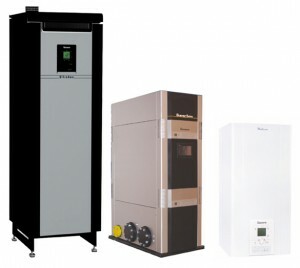 The MHG Ultrabox series is one of three new ranges of gas fired condensing boilers introduced by MHG Heating. The other new MHG boiler ranges are Superbox and Wallcon. 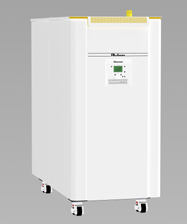 MHG Heating’s new Low NOx (Class 5) Wallcon wall-mounted gas-fired condensing boilers are available in 115kW, 125kW and 160kW capacities, with the ability to combine up to 16 units in cascade configuration. Further flexibility is provided by a fully modulating pre-mix burner with 4:1 turndown capability for the 115kW model, and 7:1 for other models. MHG Wallcon boilers are available with matched mounting frames and cascade hydraulics including low loss headers or matched system separation plate heat exchangers. The latter are ideal for maintaining separation between the new boiler and an older distribution system, thereby protecting it from contaminants in the pipework. The MHG Wallcon range features built-in frost protection and time control, with direct BMS connectivity and remote monitoring options using either the internet or GSM network. Other features include an integral pump with anti-seize program. 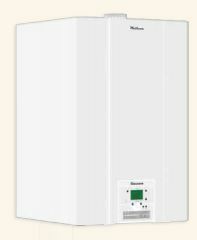 Wallcon is one of three new ranges of gas fired condensing boilers recently launched by MHG Heating. The others are Ultrabox and Superbox. MHG Heating is a finalist in the HVR Awards 2015, making this the third year running that the company has one through to finals, having come first in the Commercial Heating Product of the Year category in 2013 and 2014. 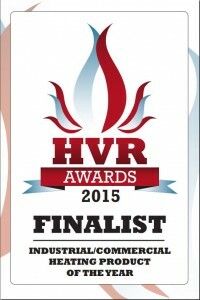 In the 2015 awards, it is the company’s ProCon MCS gas-fired condensing boiler that caught the judges’ eyes and made it through to the shortlist against stiff competition. A key feature of the ProCon MCS is the ability to incorporate a matched plate heat exchanger that acts as a system separator and protects the boiler from contaminants when retrofitted to an existing distribution system. This greatly facilitates upgrading of existing heating systems with condensing boilers, enabling compliance with the ErP regulations. 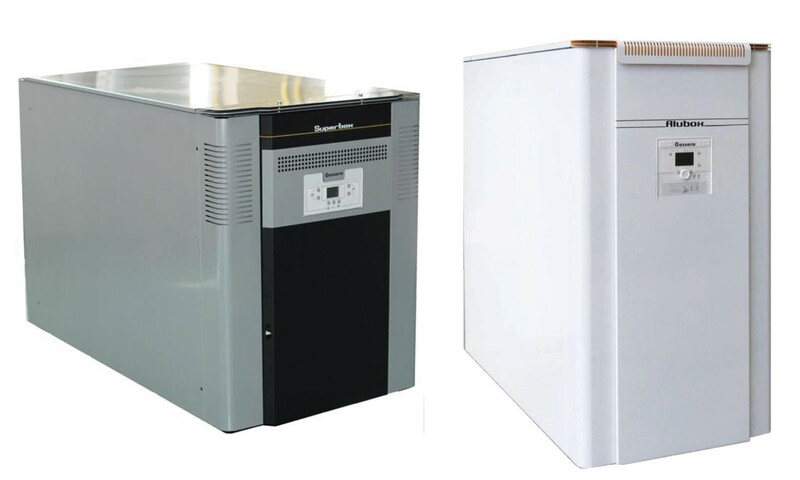 The winning product in 2014 was the ProCon Streamline Hybrid that combines an air/water heat pump with a gas condensing boiler and integrated control system. 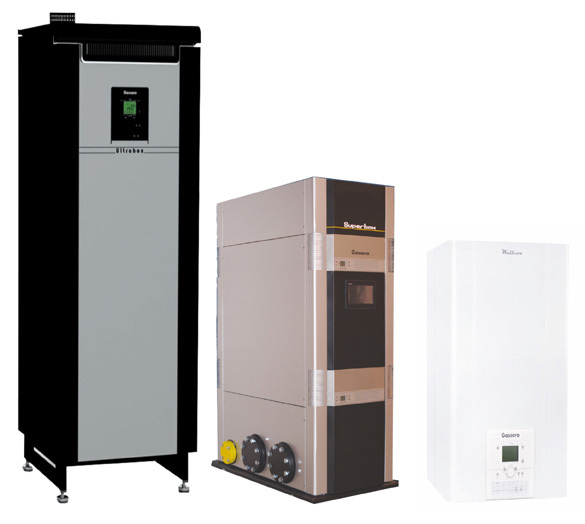 The new Superbox and Alubox ranges from MHG are competitively priced, high efficiency, floor-standing gas condensing boilers for use in commercial applications. 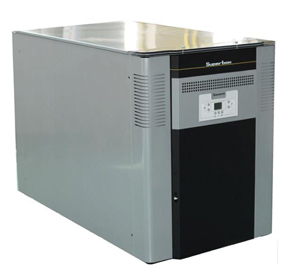 Prices are around 30% less per kW capacity than boilers of comparable quality and performance. Superbox boilers are available in capacities from 160kW to 1,060kW and deliver net efficiencies of up to 106.4%, while the capacity range for Alubox boilers is from 208kW to 2,200kW, with net efficiencies up to 108.6%. Low NOx emissions to Class 5 are combined with a high modulation ratio to ensure efficient response to variable heat loads. Each also incorporates a master electronic control panel with independent control of up to three zones. Both ranges feature a compact design and can be used in cascade configuration with up to 16 boilers interconnected. Superbox boilers use a stainless steel heat exchanger, while Alubox models utilise a special alloy cast aluminium heat exchanger. The internal system separating plate heat exchanger allows the ProCon HTP to be applied to any system with operating pressures up to 10 bar without the risk that the existing distribution system will impair boiler performance. As such it enables optimum efficiency to be achieved for boiler replacement projects whilst facilitating compliance with legislation.